Offer Expires On November 26th! From now through November 26th, I’m offering a 50% discount on my flagship course, Animals and the Other Side Masterclass. Now you can get the entire live masterclass and recording (pictured below) for 50% off the normal price. The course sells like hotcakes (haha) for it’s normal price of $97, but you can save 50% and get the entire live class and recording for just $47! I was so honored and excited by the experiences of my students at my most recent live Soul Level Animal Communication® course, I wanted to find some way to Thank You for being my supporter. This is that way! Click Here And Get Your Complete Masterclass For Half Off! Three Free Bonuses Worth $191! If these five bonus gifts were sold separately, they’d go for over $191.00, but when you accept my half-off offer, you can have them free! Bonus 1: Meet Your Spirit Guides (Video webinar) Learn how to connect with YOUR guides the way that YOUR guides want you to! A great skill for when you’re looking to connect with your pet on the Other Side! Bonus 3: Three-Part Mini-Series on Energy Management (Three video webinars including specific technique exercises). If you want intuitive messages from your pet here or on the Other Side, these tools set the foundation to get you there! Bonus 2: Work with the Animal Daevas (Video webinar). Animals, including our pets, are always helping us grow and evolve. Learn how dogs, cats, and other species are helping humankind grow and get closer to understanding your OWN lesson with your pet! Click Here To Save 50% And Get All Three Bonuses… FREE! Are you worried how are you going to get through the holidays without your pet? Are you worried about your dog, your cat, or your horse that’s about to cross over? Do you wonder what it is like on the other side for the animals? Find answers to these questions and more in this live webinar where Danielle will share with you what the animals have taught her about death, dying, and the Other Side over the past almost twenty years. People have been using this masterclass to feel closer to their pet on the Other Side, get closure and move through the grieving process. If you’ve been struggling to “accept” your pet’s passing (or upcoming passing), this masterclass can show you what to do to come to peace. Plus, if you’re looking for a connection to your pet on the Other Side, Danielle will be doing Soul Level Animal Communication® readings during the webinar too! Can’t make the masterclass on December 11th? Everyone has the opportunity to submit their questions to Danielle beforehand for a chance at having them answered during the live webinar. Plus, the recording of the webinar will be available within 24 hours! Do you want to really CONNECT to your pet that has crossed over, but you have no idea how? Are you worried you can’t trust the messages you pick up? Are you unsure of the process that will allow you to most easily connect? Are you concerned that YOU, yourself, won’t be able to do it? 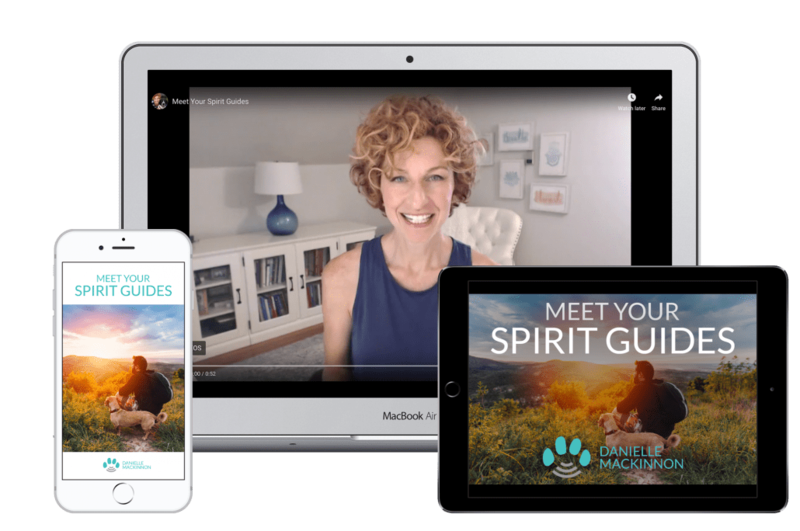 Building on what Danielle has learned from the thousands of animals she’s work with on the Other Side, Meet Your Spirit Guides reveals how energy “over there” likes to interact with us. That’s right! Because every one of us has spiritual guides that have our backs no matter what – but so many people have absolutely NO CLUE how to take advantage of that help, past putting it out there and “hoping” the Guides will listen. Did you know that you can change that feeling of chaos, disempowerment, anxiety, and fear with the right technique? And did you know that it’s possible to do that in just a matter of SECONDS? If you have a hard time making decisions, if you find that your anxiety sometimes gets the best of you, if you feel challenged in trusting your intuition, you don’t want to miss this! 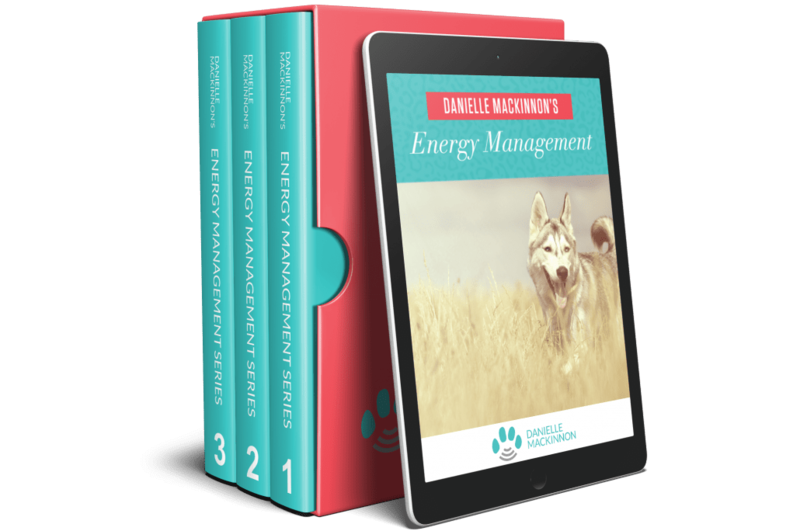 In the online video training, “Three-Part 5-Minute Energy Management,” Danielle SHOWS three incredible tools that can you apply, right now, to any “off” emotions you’re experiencing. This exciting yet easy series teaches you how to actually CHANGE your energetic state of mind (and your energy!) so you can feel less chaotic, less worried, and more trusting. Stop just pushing through the chaos – change it! Are you wondering what your beloved animal is teaching you but don’t know how to figure it out without being psychic? Animals on this side and the Other Side are always working to teach us lessons, but it can be hard to know what those lessons are. 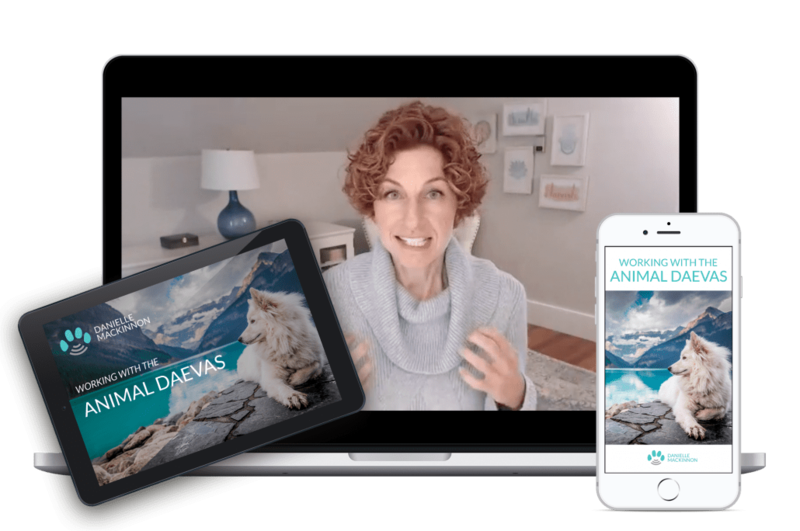 In this training, Danielle shows you how to connect with the animal daevas – those spirits in charge of the various SPECIES of animals – to learn how each type of animal is helping humans evolve. 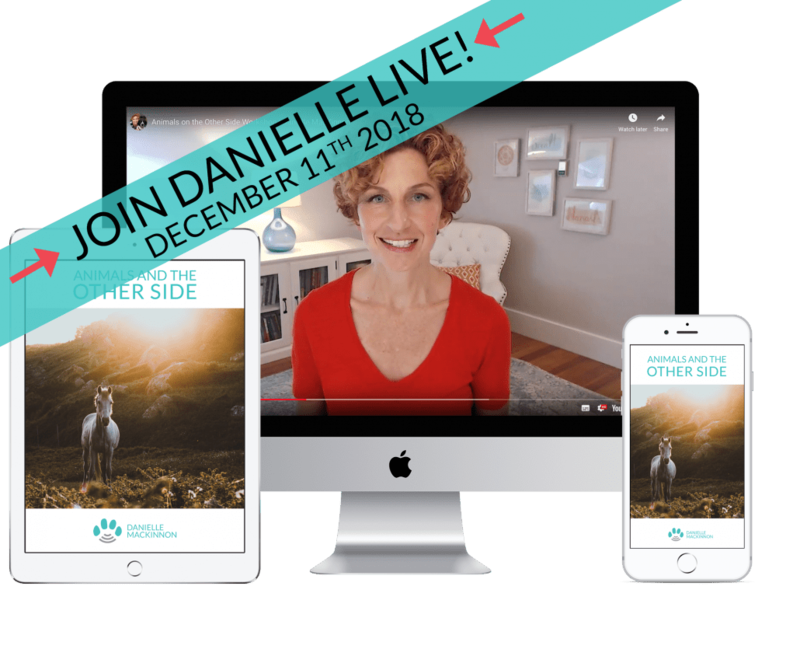 Based on Danielle’s almost two decades working with animals, this training gives you the needed tools and education to tap in to those you’ve been longing to tap into. And NO psychic experience necessary!